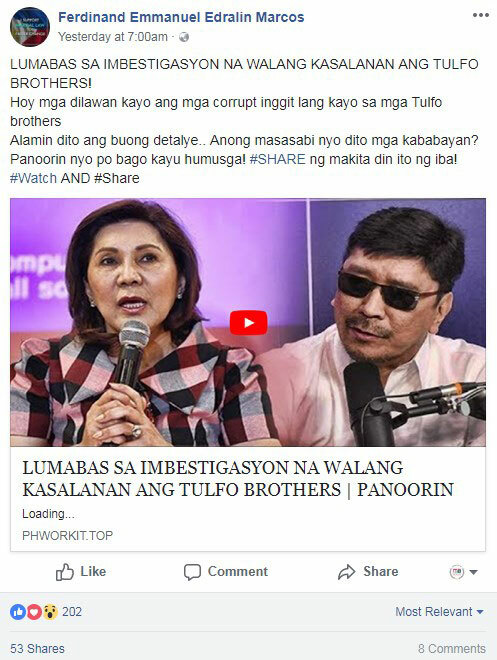 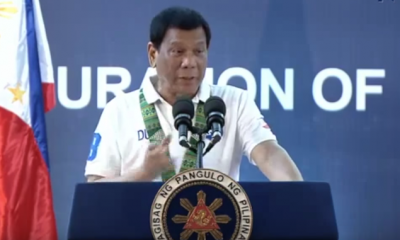 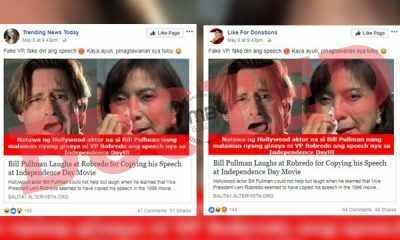 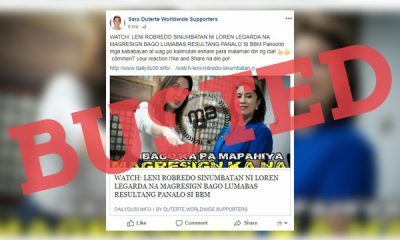 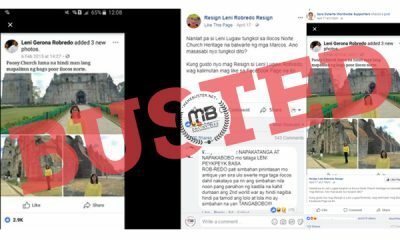 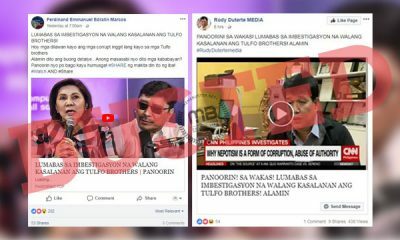 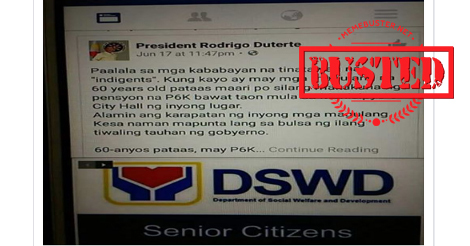 MemeBuster recently noticed two stories surfaced out of an old fake story we’ve debunked claiming that Queen Elizabeth II called President Rodrigo Duterte a brave man. 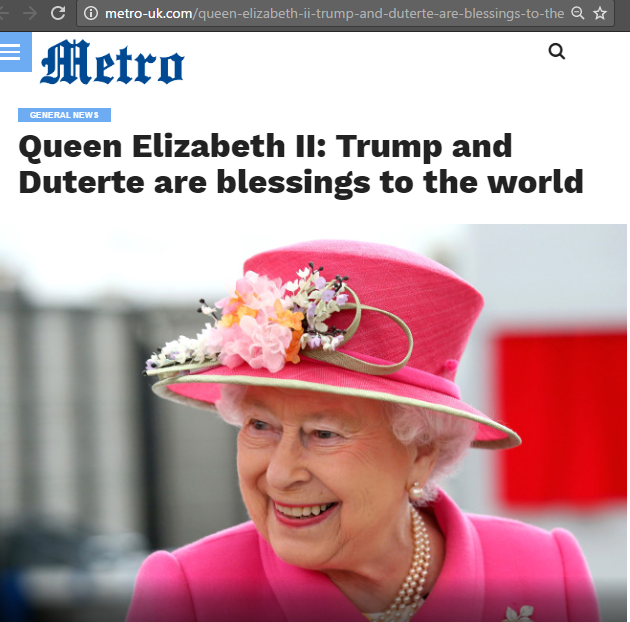 This is not the first story that tried to connect Duterte to the British monarch, though. 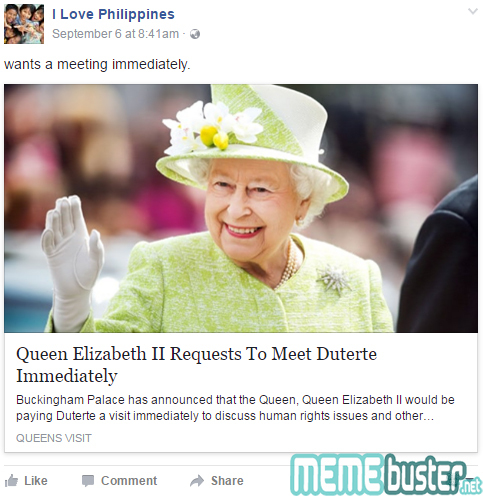 There was a fake story in September 2016 about how the Queen requested to meet Duterte, who was then recently sworn into office in June 2016. 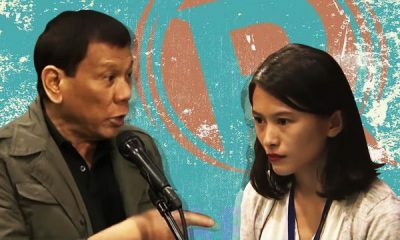 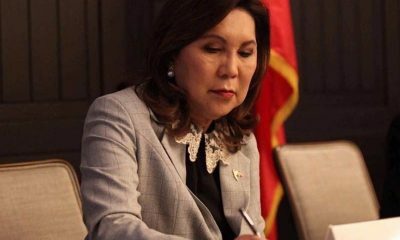 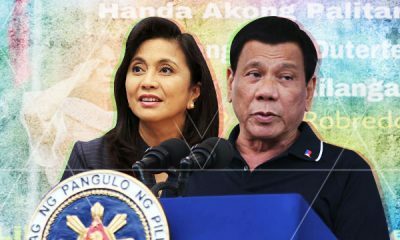 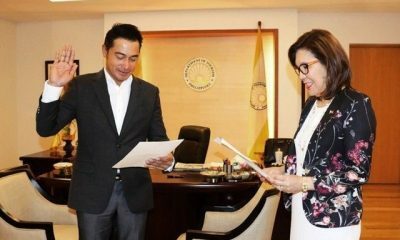 It further claimed that she wanted to discuss human rights and security problems with the new Philippine president. 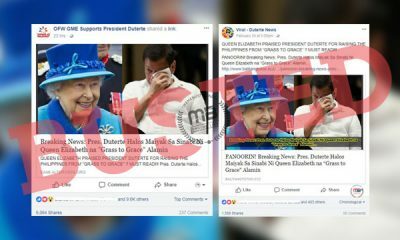 The story even said that the Queen would set the meeting with Duterte during her state visit to the Philippines with her husband. 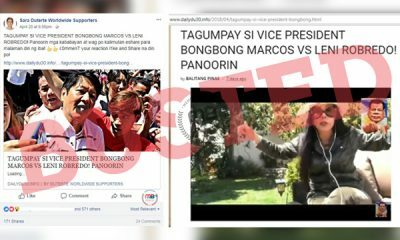 But the story came from te1egraph.com, which claimed to be an “online satirical blog.” The site has already been taken down. 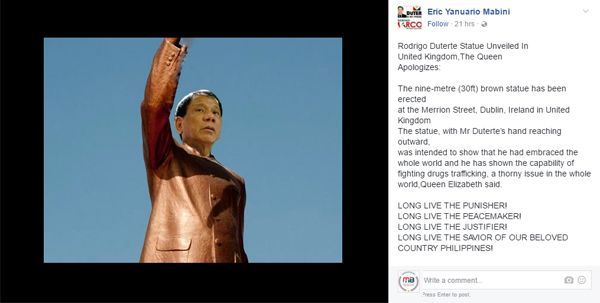 The Queen allegedly had a statue of Duterte erected in the UK to apologize to him for opposing his war on drugs when he actually cared a lot for humanity. 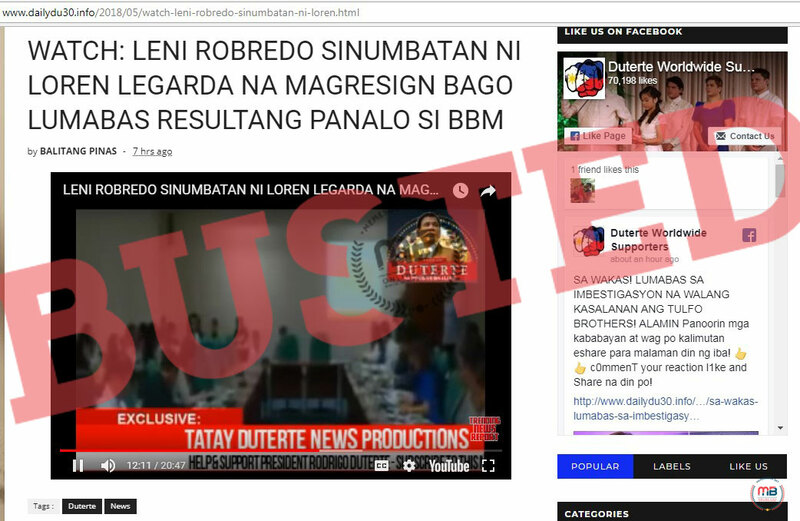 But this September 2016 story came from the satirical site thet1mes.com, which has been taken down. 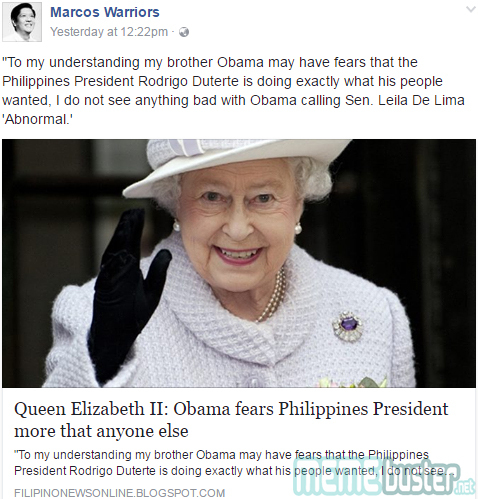 In October 2016, another story claimed that Queen Elizabeth II hinted that former US President Barack Obama was scared of Duterte and that he was about to support the Philippine leader’s war on drugs. 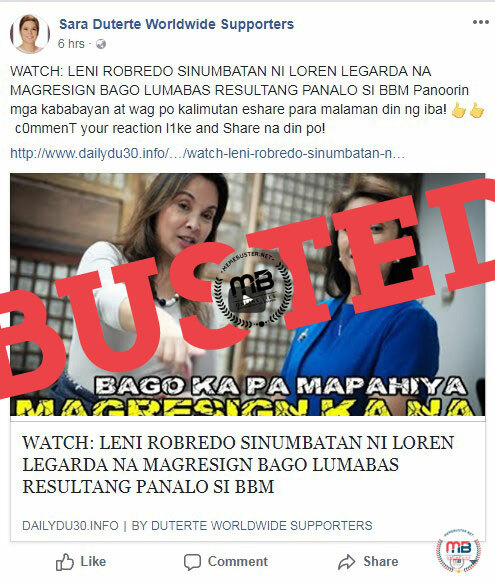 However, the story said that the Queen’s statements came from her interview with the bbc-channel.com, a fake news site. 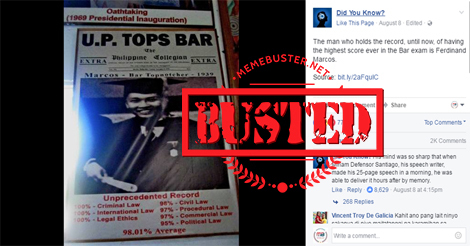 It was also linked to the satirical site thet1mes.com. 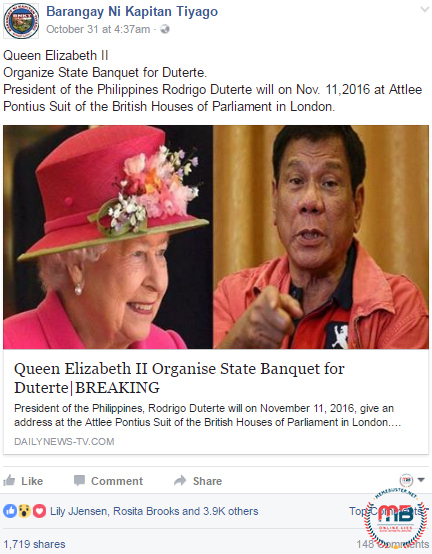 In October 2016, the Queen allegedly organized a state banquet for Duterte when he was allegedly slated to visit the UK to make a speech in front of the British Parliament in November 2016. 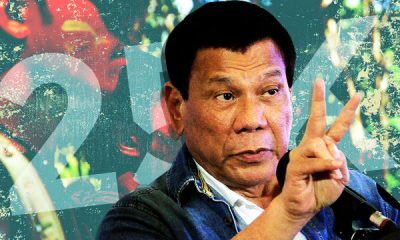 Duterte supposedly accepted the Queen’s invitation. 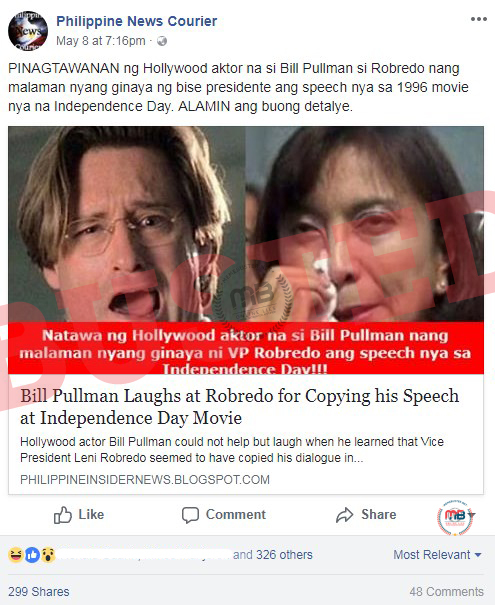 But the story was sourced from the fake news site dailynews-tv.com. 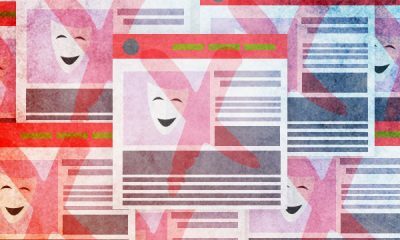 The site is no longer accessible. 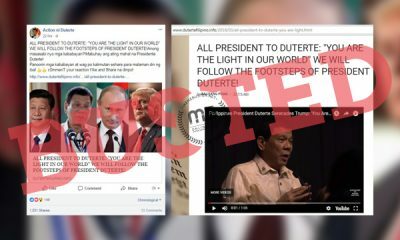 Shortly after US President Donald Trump was elected president in November 2016, a fake story surfaced claiming that Queen Elizabeth II called him and Duterte blessings to the world right when the world needs them the most as leaders. 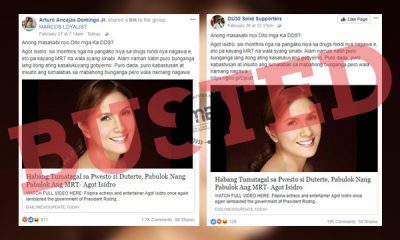 The story, however, originated from the fake news site metro-uk.com, a site that tries to imitate Metro (metro.co.uk). 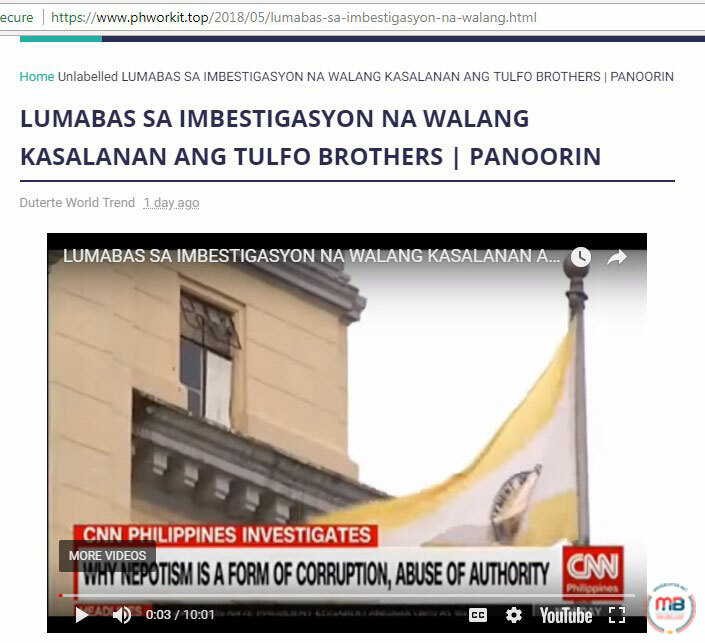 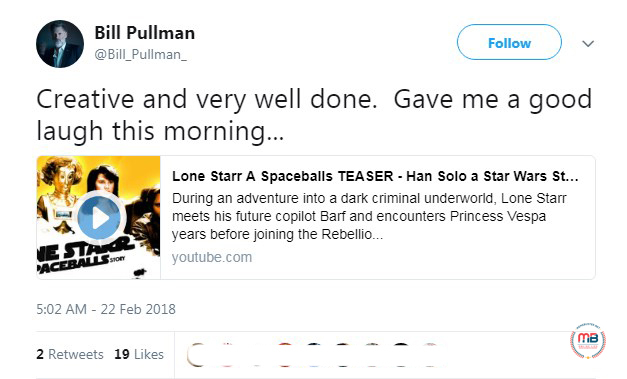 The website is no longer available. 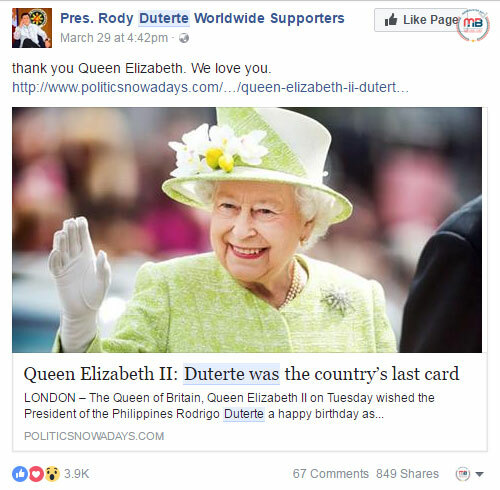 Fast forward to 2017, the fake news makers still tried to link the Queen to Duterte by making up a story about how she said that Duterte was the Philippines’ “last card.” Some Duterte supporters even used the story to tell the Philippine president’s critics to shut up. But there was no reason to shut up over a fake story that came from the fake news site mtv-tv3.com, which has been taken down. 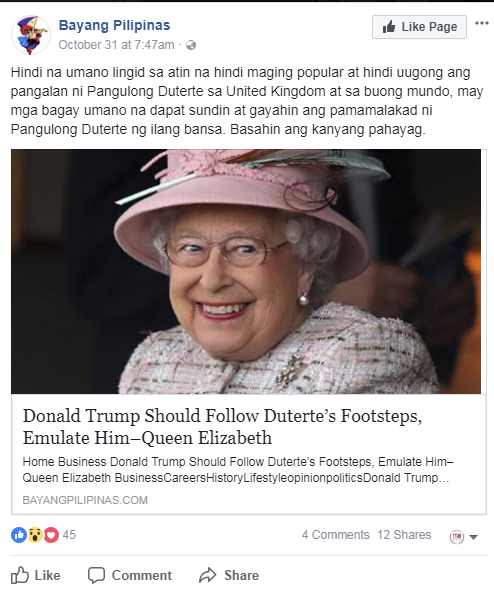 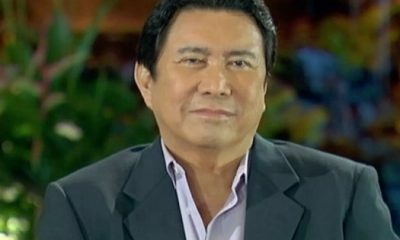 In November 2017, the Queen allegedly advised Trump to follow in Duterte’s footsteps and that political leaders should ask for political advice from the Philippine leader. 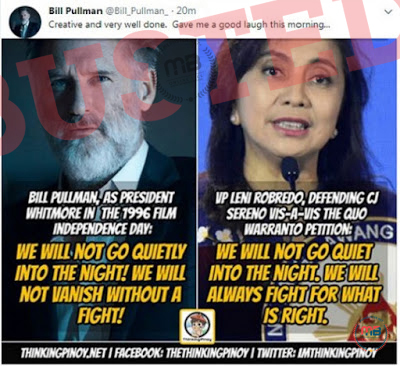 It was the same story that claimed that the Queen told the EU to stop intervening in the Philippines. 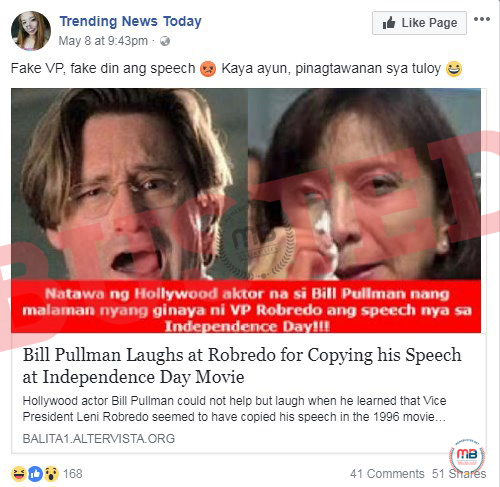 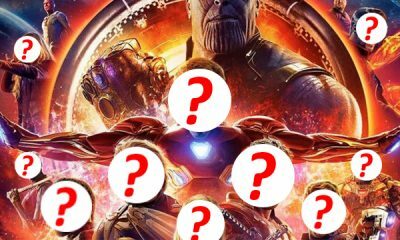 However, the story originated from telegraph-tv.com, a fake news site that tried to mimic the UK newspaper The Telegraph (telegraph.co.uk).